WANKULUKUKU – With just over two weeks to the start of the 2018/19 Uganda Premier League season, Express FC have confirmed they will be launching an anti-hooliganism campaign on Friday, 14-09-2018. The six time league winners, who last won a top flight title in 2012, will also introduce their new Executive Board and Advisory Council to the fans on the same day. This was confirmed through a statement availed to the media on Wednesday afternoon by new club chairperson, Kiryowa Kiwanuka. “The Executive Board as well as the Advisory Council of Express FC, shall on Friday 14th September 2018, hold an interactive meeting with Fans of Express FC, 4pm at Wankulukuku Stadium, read the statement. “On this occasion, the Club’s new Executive Board and Advisory Council shall be introduced to the Fans. “The Executive shall also launch an Anti-Hooliganism campaign, to sensitize our fans on the importance of non-disruptive support for the Club, continued the statement. “Also to be launched and issued is the new Equity Express Card as well as commencement of the sale of season tickets. Express FC have of late undergone a new structuring process that has seen them appoint Kiryowa Kiwanuka as their new Chairman and in turn, a new Executive has been named. 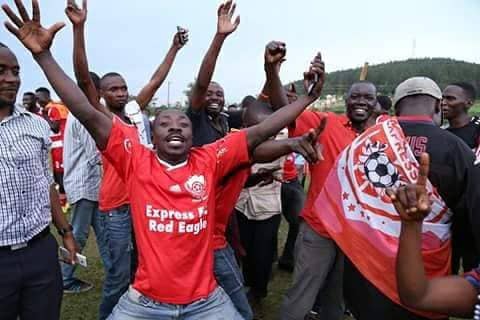 The Red Eagles who have endured several acts of fan hooliganism in the recent past will hope Kiwanuka and the new Executive can kick-start a fresh chapter in the club’s history. The Executive has already brought on board Equity Bank as club sponsor in a deal worth 100 million.